I captured this image in my neighbor's yard this summer while watering her plants. 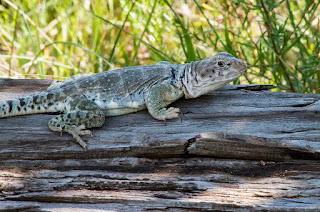 This is a Collared Lizard that I saw several times and was pretty shy but this day I was able to get an image. 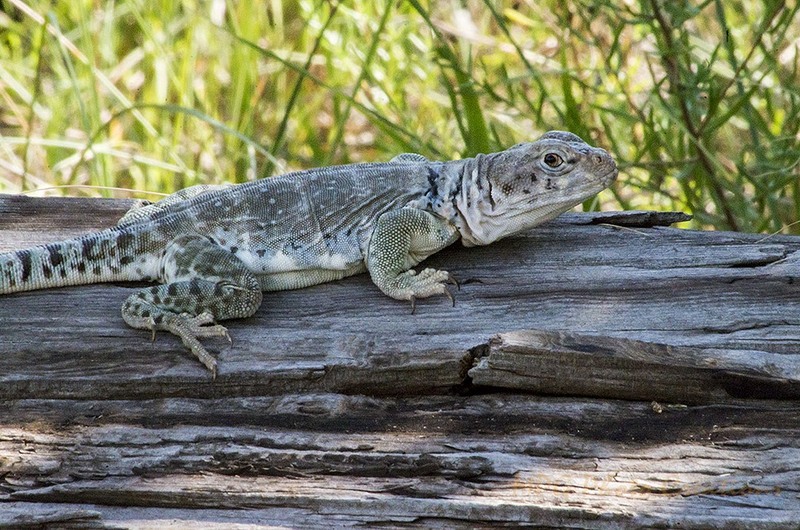 This type of lizard is fairly common in my area but I don't see them often.